After embattled Venezuelan dictator ignored an ultimatum to either call for Democratic elections or face even more calls for him to step down, four western European democracies – the UK, Spain, Germany and France – have officially recognized opposition leader Juan Guaido as the country’s legitimate democratically-elected leader, according to CNN. 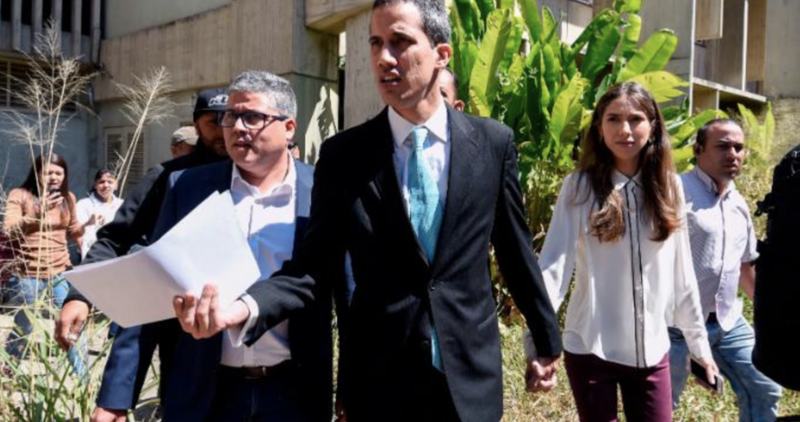 European nations had warned last week that if Maduro didn’t call for fresh elections by the end of Sunday, they would officially recognize Guaido as the legitimate leader of the country. On Sunday, Maduro refused to bend to the pressure, saying he doesn’t “accept ultimatums from anyone,” and accusing the European countries of propagating an “imperialist” mindset, CNN reported. He went on to rebut the EU’s attempts to decide the fate of politics in Venezuela. And he once again denied that Venezuela is struggling with a humanitarian crisis. “Why does the European Union tell a country in the world that already had presidential elections in accordance to its constitution, its laws, its institutions, with the international observers, that they have to repeat their presidential elections? Why? Because their right allies in Venezuela didn’t win,” he said. He said over the weekend that humanitarian aid bound for Venezuela would be sent to collection points in Cucuta, Colombia, Brazil and a Caribbean island that wasn’t named. This comes after Guaido laid out steps for reviving Venezuela and stanching the humanitarian crisis that the Maduro regime has refused to acknowledge. But while losing the support of Europe isn’t a regime-threatening blow (though these countries could seize Venezuelan state assets and turn them over the Guaido), Maduro would be facing a much bigger problem if Guaido successfully convinces China to switch allegiances over to him. Commenting on whether he plans to allow Venezuela to be part of China’s “Belt and Road” initiative, Guaido said he would improve the relationship with Beijing to stimulate the Venezuelan economy, which has been plagued by hyperinflation and a collapse of investors’ confidence. But will it be enough to win over China, which has aggressively backed Maduro after investing billions of dollars in his regime via money-for-oil deals? And if China turns against Maduro, whom the Communist Party views as an ideological ally, will Russia follow suit? 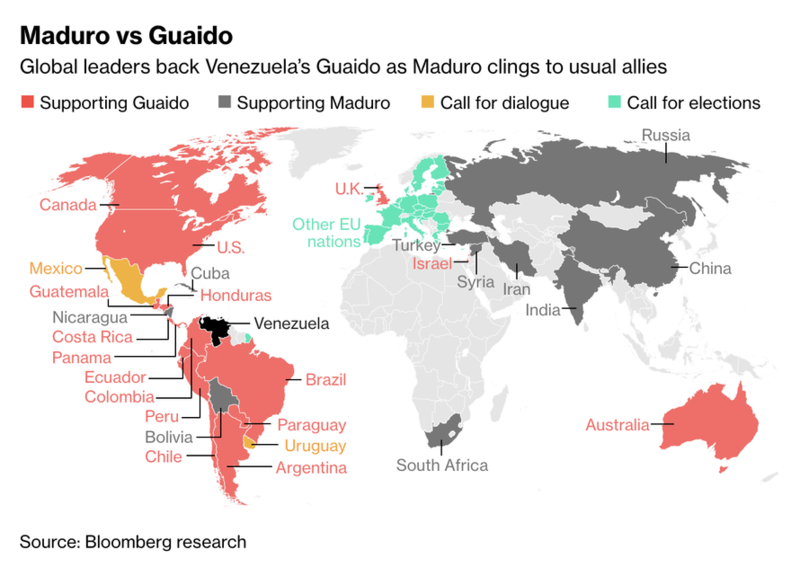 As a reminder, here’s a quick rundown of which countries support Maduro, and which back Guaido (though we can now move these four European countries into the Guaido column).